FULFILLING AND JOYOUS LIFE ON YOUR OWN TERMS. Have you ever looked around and wondered "is this all there is to life?" Maybe you're a high achiever who "has it all." Good, stable job. Great benefits. Solid salary. A house to live in. A spouse and some kids. Maybe you're a stay at home mom who gets to spend a ton of time with your kids, or an entrepreneur who's working for yourself, living the dream. Who could ask for more, right? Right?? The real question that's buried inside you is "Who do you think you are, thinking that there *should* be more?" The answer, quite simply, is that you are a deserving and worthy being who can and should expect more from life, no matter what your upbringing, family or employer tells you. IT'S TIME TO STAND IN YOUR POWER AND DEMAND THE LIFE YOU WANT. Most people settle. Settle for the existence shaped by the expectations of others. That voice in your head, the one that tells you there must be more to life, won't shut up. You're at the mercy of the expectations of others, not living by your own personal value system. You know you want to feel inspired and fulfilled, but you have no idea what would inspire or fulfill you. You censor yourself. What you want or need isn't as important as keeping the peace. You want to change, but you're afraid. Afraid to explore the possibilities, afraid of what it will mean for your relationships, your life. Afraid to leap. The thought of continuing as you are leaves you feeling restless and stagnant. It takes courage to decide that now is the time to take charge of your life. Is it scary? Of course. That's why I'm here to help. THE WORLD IS WAITING FOR YOU TO SHOW UP, ARE YOU IN? Mindset Mastery is a group coaching program to uncover what is holding you and your team back from reaching your full potential in life and business. You’ll learn the skills you need to apply the mastery process whenever needed as you continue to grow and expand. One-on-one coaching designed to empower a life lived on your terms. 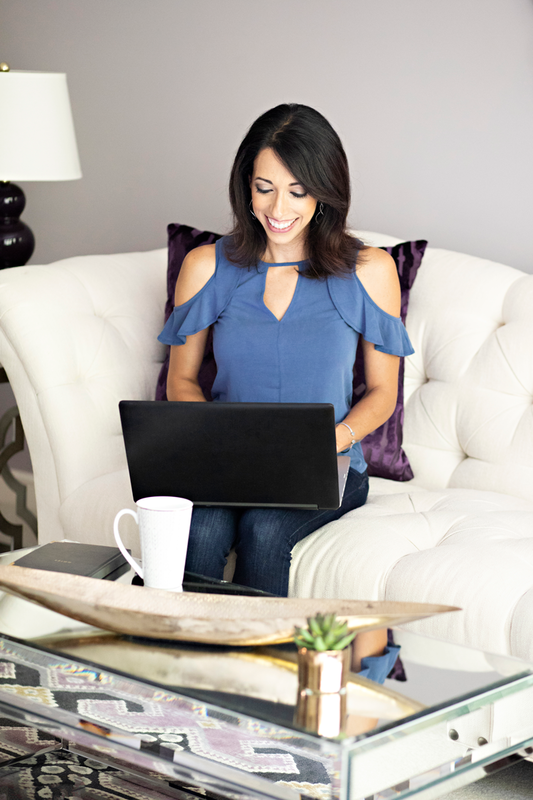 Get clear on where you are today, what you want your life to look like and dig into the programming, baggage and mindset challenges that are holding you back from living your best life. Together, we will work through this transformational process to get you on the path you want to be on, even if you have no idea what that is just yet! I’m Maki Moussavi. I’m a transformational coach, speaker & writer. I have always been called to support people through emotionally complex situations, which is why I became a genetic counselor years ago. The scientific and psychological aspects of my training provide a unique perspective and ability to help you identify the mental and emotional baggage you carry so that you can move forward intentionally, empowered to live the life you desire. Staying stuck is not an option. Are you ready to do this? You want life to be better, but you don’t know *how* to make it better. he Discomfort Zone: Embrace the Uncomfortable, Do the Deep Work, and Create the Life You Are Here to Live provides the reader with the tools, mindset and process to do the deep emotional work, get clarity, and create the life that is truly aligned to them.